SYSTEMATIC or legal corruption is endemic. 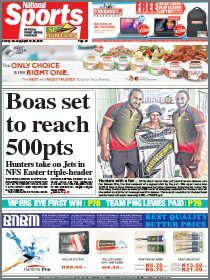 It has become a conduit for crooks to become rich in PNG, thus, it is crippling the fabric of our society. Let’s pay tribute to our pioneer politicians such as Sir John Guise, Sir Michael Somare, Sir Paul Lapun, Sir Tei Abal, Sir Pita Lus, Sir Mathias Toliman, Sir Maori Kiki, Sir Thomas Kavali, Dr Rueben Taureka, Sir Sinake Giregire, Sir Yano Belo, Sir Matiable Yuwi, Sir Ebia Olewale, John Momis, Sir John Kaputin, Sir Julius Chan, Sir Iambakey Okuk, etc. Some were not well educated, and yet, they possessed great wisdom and foresight. They served the country with honesty and distinction. They set the standards and foundation for us to pursue for the betterment of the future generations. This dream set by our forefathers has now gone to the dogs. Corruption has now taken control and has become the norm in our society today. From politicians to civil servants, both public and private sector, corruption has slowly spread like wild fire since Independence. 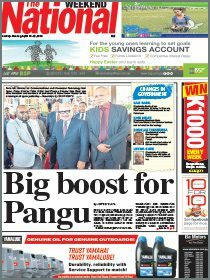 PNG, as a nation, is on the brink of collapse. A bipartisan approach is the way forward to rectify this situation immediately. Law Reform Commission to find a solution to combat corruption. The democratic system of governance is perhaps dysfunctional in a culturally ethnic and diverse Melanesian society like Papua New Guinea. This team must think outside of the box. Recommend some effective means to stop this deadly disease that threatens the sovereignty and security of our rich and blessed nation. Systematic corruption is the best recipe for disintegration, anarchy, lawlessness, foreign invasion, more offshore loans, stumbling block to progress, increased poverty and failed State. It’s now or never PNG.